The Medicaid expansion Gov. John Bel Edwards saddled Louisiana with upon taking office in 2016 has been a nonstop policy and politics problem for the state’s Republicans ever since, and it’s a particular item of focus for both Ralph Abraham and Eddie Rispone, the two GOP challengers running against Edwards this year. Both Rispone and Abraham said that they believe Medicaid needs a more thorough review to prevent fraud and waste. Risponse said he would immediately “freeze” Medicaid enrollment if elected to allow for a deeper evaluation. “The implementation was not done properly,” he said. Fighting waste and fraud in Medicaid, particularly where the expansion is concerned, has been the top priority for Republicans in the legislature. They’ve offered up reform measure after reform measure, from co-pays to discourage unnecessary emergency room visits to facilitating coordination between the Louisiana Departments of Health and Revenue in order to insure people who apply for Medicaid actually qualify for it, to others. Every one of which causes the Democrats in the legislature to act as though GOP leges are actively trying to kill the poor in the state; a terribly dishonest posture to take, seeing as though there is a finite amount of access to the medical system in Louisiana and when you put people who are not poor and could afford private health insurance onto the government dole you are going to make it more difficult for poor people to access that system. After all, there are only so many doctors who will accept Medicaid patients given the lousy reimbursement rates Medicaid pays. The more people you put on Medicaid without getting more doctors to take those patients, the worse Medicaid is going to perform for the people who are on it. So Abraham and Rispone are focusing on trying to squeeze the waste and fraud out of the system before undertaking reform to it. That’s prudent, but we’re not sure it’s a slam-dunk political winner. The Trump administration is pulling out all the stops to encourage red states to make conservative changes to Medicaid without congressional input. Administration officials are pushing ahead and granting approvals to states seeking to impose work requirements on Medicaid recipients, even in the face of legal challenges and large-scale losses in the number of people covered. Last week, the Centers for Medicare and Medicaid Services (CMS) granted Ohio’s request for work requirements, the ninth such approval since President Trump took office. The approval was announced just one day after administration lawyers were in federal court defending the work requirements for two other states, Arkansas and Kentucky. Those bold moves have critics of the administration’s policies up in arms. They point to how administration officials handled Kentucky’s Medicaid work requirements. D.C. District Court Judge James Boasberg, an Obama appointee, in 2018 blocked Kentucky’s work requirements from taking effect. The administration sought more comments on the policy. CMS Administrator Seema Verma ultimately granted approval to Kentucky to move ahead with work requirements even though the state made few changes to their plan. The administration was sued again over Kentucky’s rules, and last week the case landed back in front of Boasberg. The administration has staunchly defended its bold moves. But the administration’s efforts are much broader than work requirements. Azar has also been quietly trying to sell states on the merits of imposing block grants, or a per-person spending cap, without congressional approval. Azar revealed those discussions for the first time during a Senate hearing last week. Imposing block grants in Medicaid has long been a major conservative goal. Republicans say policies like block grants and payment caps allow for more state flexibility and are more fiscally sustainable. Azar’s admission raised hackles among Democrats, who fiercely oppose the idea, which would limit the amount of money going to Medicaid. Democrats argue the changes require harmful cuts in the program. Sen. Bob Casey Jr. (D-Pa.), who asked Azar about his meetings with states, pledged that Democrats will fight any Medicaid cuts. “To say that I and many others will fight these cuts with an unyielding passion is an understatement,” Casey warned. 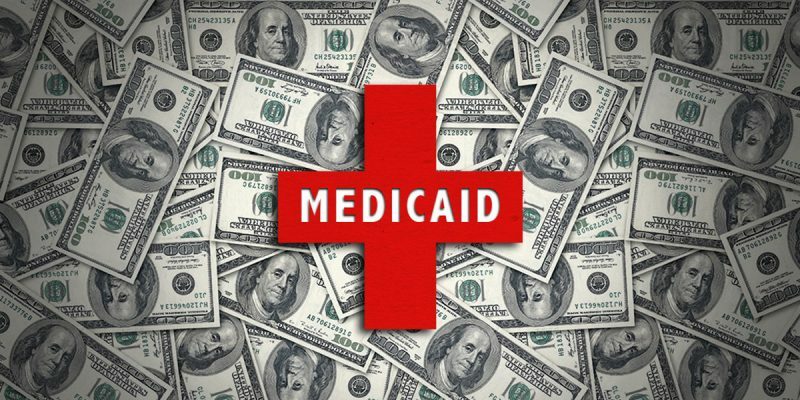 A Medicaid lobbyist said the administration has been actively seeking out states willing to experiment with new models of financing Medicaid that have never been previously approved. What does a block grant approach mean? It means that instead of just signing people up for welfare health insurance it might be possible to put people on some sort of premium support program to get private health insurance in Louisiana, which would be a way to avoid having more than 40 percent of Louisiana’s citizens on Medicaid and have the state escape the clutches of socialized medicine Edwards has been dutifully enveloping us in. We heard an interesting discussion along these lines not long ago comparing Medicaid to Louisiana’s experience with homeowners’ insurance. After Katrina and Rita hit the state in 2005, the private property insurance market in the state was almost dead – and some two-thirds of Louisiana homeowners were insured by Louisiana Citizens’ Property Insurance Corporation, which was a state-chartered carrier of last resort. Essentially, those folks were buying homeowner’s coverage from the state of Louisiana, which was far less than an ideal circumstance both for them and for the state. But over time the Louisiana Department of Insurance managed to unwind Citizens from that book of business, moving it off to private carriers and stabilizing the market. Essentially that’s what needs to happen with respect to health insurance in Louisiana (among a lot of other states). When two fifths of your population has to go on the government dole for health insurance, you have two problems – first, health insurance is too expensive for too much of your population, and second, your fiscal house is not in order. That’s clearly obvious when you have a $31 billion state budget of which half is taken up by the Louisiana Department of Health. That’s going to eat up money you need to keep colleges open, build roads and pay cops and firemen, among other things. And since it’s been projected that Medicaid will be a compounding $100 million-per-year drain on Louisiana’s budget into perpetuity until current circumstances change, something has to give. So if Azar, on behalf of Trump, is talking block grants, then you’ve now got the ability as a challenger to Edwards to talk about lots of different things Louisiana can do to improve health care access while at the same time putting the state on a more sustainable fiscal course. Maybe you can launch a program offering premium support for private insurance for folks on Medicaid who could buy a policy with a little help. Maybe there’s a way to make group health insurance available outside of employment using Medicaid dollars. Maybe those block grants could be put toward health savings accounts and catastrophic insurance. Maybe all of the above. The point is that the real sin Edwards committed when he signed Louisiana up for the Medicaid expansion wasn’t just that he did it, it was that he didn’t even bother to get the state a good deal on Medicaid. Instead what we got was the most Soviet-style, one-size-fits-all, wasteful and stupid option possible, rife with opportunities for waste and fraud and little chance it wouldn’t end up as a fiscal disaster. You can’t unring that bell. Louisiana took the Medicaid expansion, and it’s here to stay. But maybe what you can do is to find creative ways to minimize the damage and use those resources more wisely than Edwards would ever think to. And in the Trump administration you’ve got a willing partner in conducting those experiments. That’s great news for both Abraham and Rispone, if they’re willing to use it. “Welcome to the race Sleepy Joe. I only hope you have the intelligence, long in doubt, to wage a successful primary campaign. It will be nasty - you will be dealing with people who truly have some very sick & demented ideas. But if you make it, I will see you at the Starting Gate.” - President Trump, welcoming Joe Biden to the 2020 presidential race this morning on Twitter.